We are your SHORT SALE Experts for Real Estate Services covering Riverside, Corona, Moreno Valley and the rest of the Inland Empire. Short Sales have become a major componet of the current Real Estate Market. We have dedicated ourselves to handling both the sales and purchases of Short Sale Homes. We will be happy to provide all the information you need to buy or sell Short Sale or REO Real Estate in Riverside, Temecula, Murrieta, Corona, Moreno Valley, and surrounding areas. As the premier real estate agents in Riverside, we look forward to serving you and will be happy to help at any time. Don't get caught paying retail price for a home! Search Here for HUD Homes! Homeowners who had short sales in 2014 can now breathe a giant sigh of relief, as the Mortgage Debt Forgiveness Act was signed into law by President Barack Obama. Under the Mortgage Debt Forgiveness Act, any mortgage forgiveness achieved in a short sale is not counted as income for homeowners whom banks allowed to sell their homes for less than the amount of their mortgage. The Act was due to expire in 2014, but was extended by recent votes in Congress. The Mortgage Debt Forgiveness Act passed by a wide margin in the House of Representatives three weeks ago and passed 76-16 in the Senate two weeks ago. But the Act wasn’t made official until President Obama signed it into law, which he did last week. The extension only applies to short sales conducted in 2014. Any further extension of the short sale tax break would need to be taken into consideration by the newly elected members of Congress when the Congress begins its 2015 session in January. According to a recent estimate from RealtyTrac, the average short sale has an estimated mortgage forgiveness of $88,456. And according to a further data provided by RealtyTrac, there have been more than 121,700 short sales through October of this year, with a total mortgage debt forgiveness of nearly $10.8 billion. RealtyTrac also estimated that the potential taxes on the average short sale to be $22,114, which would have brought the total tax liability to $2.7 billion. When the Senate passed the Mortgage Debt Forgiveness Act, the National Association of Realtors hailed the vote. “NAR applauds Congressional leaders in both chambers for their effort to pass this legislation before adjournment,” NAR President Chris Polychron said. “Realtors strongly supported the bipartisan Mortgage Forgiveness Tax Relief Act, which was included in the package to prevent underwater borrowers from paying taxes on any mortgage debt forgiven or cancelled by a lender in a workout or after their home was sold for less money than was owed,” Polychron added. The US Dept. of Housing and Urban Development (HUD) has issued a new guideline effective immediately and ending Sept 30th 2016 that will allow many, many people who have had a short sale, foreclosure or deed in lieu to get back in the market in 12 months instead of 36 months. Here is a small excerpt from the guidelines. FHA is continuing its commitment to fully evaluate borrowers who have experienced periods of financial difficulty due to extenuating circumstances. As a result of the recent recession many borrowers who experienced unemployment or other severe reductions in income, were unable to make their monthly mortgage payments, and ultimately lost their homes to a pre-foreclosure sale, deed-in-lieu, or foreclosure. Some borrowers were forced to file for bankruptcy to discharge or restructure their debts. Because of these recent recession-related periods of financial difficulty, borrowers' credit has been negatively affected. FHA recognizes the hardships faced by these borrowers, and realizes that their credit histories may not fully reflect their true ability or propensity to repay a mortgage. •	the borrower has completed housing counseling. Housing counseling is an important resource for both first-time home buyers and repeat home owners. Housing counseling enables borrowers to better understand their loan options and obligations, and assists borrowers in the creation and assessment of their household budget, accessing reliable information and resources, avoiding scams, and being better prepared for future financial shocks, among other benefits to the borrower. We have made sure that our lenders and HUD counselors are able to provide this service to you. Please call us if you are ready to get back in the market sooner rather than later. It would appear the government wants you to continue to stimulate the economy by buying more homes, don't let them down. But seriously, this is a great opportunity for people who got in trouble and have recovered to once again become a homeowner. Be diligent in your approach, cautious in your decision and you will be successful in the end. What is going to happen to Short Sales in 2014? 2013 was an interesting year for real estate. It was predicted to be the year of the short sale... then there was 30% appreciation, the California Homeowner Bill of Rights and numerous bank regulatory issues. All of which sidetracked what had been foretold. Well, let me tell you what I think is going to happen in 2014. Although we have seen a 30% appreciation over the past year or so, the last three months it has stagnated. Sales volume has dropped and inventory has increased. All those signs lead to a decline in value and reduction in appreciation. There are homeowners who were in a short sale mindset and have been waiting for the appreciation to catch up to them and then either sell or hang on because now it doesn't seem like a bad investment. Equity homeowners have put their home up for sale only to reduce the price with no interest from buyers. And banks have yet to release much inventory in the way of foreclosed homes. DSNews recently reported "While many indicators suggest the housing market is on the road to recovery, some fear another bubble is already forming. Country Financial, a financial services company based in Bloomington, Illinois, found in a recent survey that 48 percent of Americans say the market could reach "bubble" status within the next two years." Lastly, all the purchases in 2006 were made using 7/1 ARM's or other creative Interest Only mortgage products, and they are all going to re-set and consumers may not be able to refinance. If the homeowner cannot afford the new payment, because all refinances must be 30 year fully amortized fixed rate loans, or the owner simply cannot find anyone to refinance their loan... Short sale may be the only option. This leads me to believe we will have at least another year or two of short sales before we can call this over and done. Hold on if you can. Refinance it at all possible. Short sale if you must. But don't do nothing. Good News for homeowners in California who need to do a short sale. Both the 1st and 2nd lienholders are now prohibited from pursuing a deficiency balance. As of January 1st 2011, SB 931 (CCP 580e) came in to existence and says no judgment shall be rendered for any deficiency under a note secured by a first deed of trust or first mortgage for a dwelling of not more than four units, in any case in which the trustor or mortgagor sells the dwelling for less than the remaining amount of the indebtedness due at the time of sale with the written consent of the holder of the first deed of trust or first mortgage. Written consent of the holder of the first deed of trust or first mortgage to that sale shall obligate that holder to accept the sale proceeds as full payment and to fully discharge the remaining amount of the indebtedness on the first deed of trust or first mortgage. Governor Brown signed into law July 15th 2011, Senate Bill 458, prohibiting a deficiency after a short sale for one-to-four residential units, regardless of whether the lender is a senior or junior lienholder. Effective immediately for transactions closing escrow from this day forward, both senior and junior lienholders cannot require a borrower to owe or pay for a deficiency in a short sale. This law also prohibits any deficiency judgment to be requested or rendered for senior or junior liens after a short sale of one-to-four residential units. Any purported waiver of this rule shall be void and against public policy. Although a lender cannot require a borrower to pay any additional compensation in exchange for a short sale approval, the new law does not prohibit a borrower from voluntarily offering a monetary contribution to a lender in hopes of obtaining a short sale. A lender is also permitted under the new law to negotiate for a contribution from someone other than the borrower, such as other lenders, agents, relatives, and the like. Simply put, if a bank agrees to a short sale, the bank cannot come after the homeowner for the remaining balance. We have been negotiating short sales based on the new anti-deficiency laws for almost a year now and short sales continue to be good business for both the bank and the homeowner. Banks have become ever more cooperative and streamlined in their processes. 2012 will be the year of short sales and we will be ready. LOS ANGELES (July 15) - The CALIFORNIA ASSOCIATION OF REALTORS® (C.A.R.) applauds Gov. Jerry Brown on signing SB 458 (Corbett) into law. SB 458 extends the protections of SB 931 (2010), to ensure that any lender that agrees to a short sale must accept the agreed upon short sale payment as payment in full of the outstanding balance of all loans. "The signing of this bill is a victory for California homeowners who have been forced to short sell their home only to find that the lender will pursue them after the short sale closes, and demand an additional payment to subsidize the difference," said C.A.R. President Beth L. Peerce. "SB 458 brings closure and certainty to the short sale process and ensures that once a lender has agreed to accept a short sale payment on a property, all lienholders - those in first position and in junior positions - will consider the outstanding balance as paid in full and the homeowner will not be held responsible for any additional payments on the property." Treasury sets guidance to simplify "short sales"
NEW YORK (Reuters) – The U.S. Treasury on Monday set long-awaited guidance on a plan for mortgage companies peed "short sales" of homes and other loan modification alternatives to stem a rising tide of foreclosures. The Home Affordable Foreclosure Alternatives Program provides financial incentives and simplifies the procedures for completing short sales, a growing practice in which a lender agrees to accept the sale price of a home to pay off a mortgage even if the price falls short of the amount owed, according to an announcement on the Treasury's website. Guidelines address barriers that have often sidelined short sales by setting limits on the time it takes a bank to approve an offer, freeing borrowers from debt and capping claims of subordinate lenders. The incentives, first announced in May, expand on the government's Home Affordable Modification Program, known as HAMP, that has seen limited success in lowering payments for distressed homeowners. The Treasury earlier on Monday stepped up pressure on mortgage companies to make permanent the 650,000 trial modifications they have started. "While HAMP program guidelines are intended to reach a broad range of at-risk borrowers, it is expected that servicers will encounter situations where they are unable to approve" or offer a modification, the Treasury said in its announcement. Financial incentives for completing short sales or similar deed-in-lieu transactions -- in which the deed is simply transferred to the lender -- include a $1,000 payment to servicers, and a maximum of $1,000 to go to investors who sign off on payments to subordinate lien holders, the Treasury said. Borrowers would receive $1,500 in relocation expenses. Short sales are favored by real estate agents and community groups over foreclosure because they can preserve the borrower's credit rating and leave the property in better condition than when a homeowner is evicted. While primary lenders typically realize steep losses, their recovery is typically far better than under foreclosure. But short sales have been frustrating for borrowers and real estate agents, often hung up by negotiations with multiple lien holders and mortgage insurance companies. Real estate agents have complained that sales fall through as lenders bicker over the sales price, what they should receive from the proceeds, and whether the borrower will be held accountable for the debt in the future. Among requirements, mortgage servicers have 10 days to approve or disapprove a request for short sale, and when done the transaction must fully release the borrower from the debt. It also prohibits mortgage servicing companies from reducing real estate commissions on the sale, a practice that has dissuaded many agents from taking short sale listings. In one of the most contentious issues gumming up negotiations between lenders, the guidance caps the aggregate proceeds to subordinate lien holders at $3,000. Second lien holders in recent months have begun demanding more money from the first lender, seller, buyer or agent in exchange for releasing their claim, agents have said. Because primary lenders would face larger losses in a foreclosure, some subordinate lenders have felt empowered, the agents said. The largest second-lien holders are Bank of America Corp, Wells Fargo & Co, JPMorgan Chase & Co and Citigroup Inc.
Second lien holders may proceed with a short sale outside of the Treasury program, if they felt the cap was too low, a Treasury official said in October. "If there was a short sale program that didn't recognize the second lien holder position, it could have pretty damaging consequences for the industry," Sanjiv Das, chief executive officer of CitiMortgage, said in an interview last week. Short Sales ARE the New REO. REO's will not be released in a huge wave, but rather in a trickle, so as not to cause a precipitous drop in values. 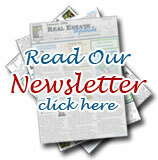 Get the properties you want delivered directly to your email! Real Estate Web Design Z57 Inc. Copyright © 2018 Short Sale Gallery & BRE#01844594. All rights reserved.